Be sure to add your tee time when you book your reservation at Pueblo Bonito Golf & Spa Resorts. 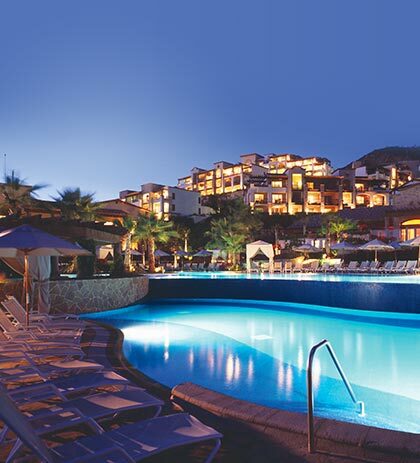 This resort is nestled on a secluded beach in Cabo San Lucas, and is an acclaimed luxury hideaway for those looking to enjoy an adults-only vacation. The modern and elegant design and architecture provide a beautiful, tranquil setting, ensuring a memorable vacation of relaxation and self-renewal. 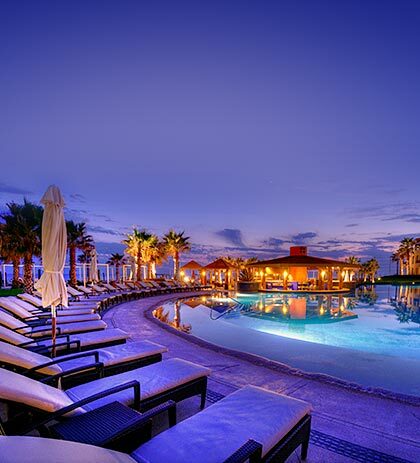 Pueblo Bonito Pacifica Golf & Spa Resort is an award-winning resort and spa destination that offers full-service amenities and facilities, including five restaurants, ocean view accommodations, meetings and event space, and private beach privileges. The renowned Armonia Spa at Pacifica offers a variety of relaxing and renewing treatments, and was ranked among the “Top 25 Spas in Mexico & Central America” in 2014 by readers of Condé Nast Traveler. At Montecristo Estates, guests enjoy the luxury of their own private 2 or 3-bedroom villas, set along a bluff overlooking the Pacific. With stunning landscape and beautiful ocean views, this all-inclusive resort is ideal for family vacations or for entertaining guests. The spectacular Montecristo Estates Luxury Villas are equipped with private infinity pools, indoor and outdoor Jacuzzis, stylish terraces, high-speed Internet access, maid and butler service, and beautiful gardens. The property features one of our award-winning, full-service Armonia Spas, which provides for complete and total relaxation and renewal. The resort also features a clubhouse with a pool, sports bar and restaurant, and guests have access to the facilities of the nearby Sunset Beach property. 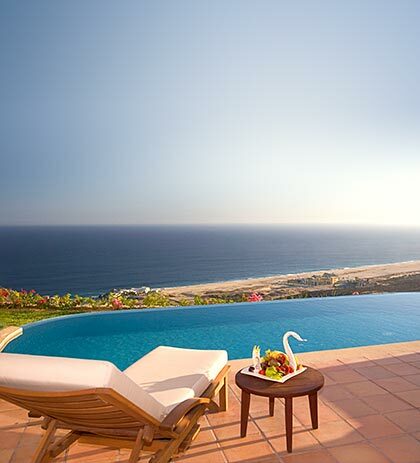 The hacienda-style villas of this luxury all-suite resort are set along the side of a private coastal bluff, providing stunning ocean views of the Pacific Ocean. With lush grounds and meandering paths and waterfalls, Pueblo Bonito Sunset Beach Golf & Spa Resort offers the perfect surroundings to create unforgettable memories. Impeccable service and warm hospitality complement our long list of full-service amenities, including gourmet restaurants, six swimming pools, meetings and wedding services, private beach access and the award-winning Armonia Spa. This lavish, full service Spa was recently included in Condé Nast Traveler’s 2014 Readers’ Choice Awards, garnering a spot on the “Top 25 Spas in Mexico & Central America” list.